ZAAP has launched Quick Touch one Pro car mount. Followed by the philosophy, with the mission which drives them to do everything possible to expand human potential, ZAAP creates innovative lifestyle products, by making products more sustainable.Adding on to the festive shopping, this accessory allows one to improvise their respective automobiles, providing a secured designer auxiliary to abide mobile phones on. Available in one size, the new product features a stylish design and safe phone mount that can securely attach to a car dashboard and windshield. It features ZAAP’s patented Quick Touch mechanism, which enables users to easily mount and remove their smartphones with one simple hand motion.This universal smartphone solution is engineered to safely enhance the driving experience. The Quick touch one pro securely mounts on a car’s dashboard, windshield, or desk with ZAAP’s super strong suction cup and sticky gel. Utilize the increased range, strength, and stability of the newly re-designed telescopic arm (extends from (4″–6.5″ and pivots 360°) to find the perfect position for your smartphone without sacrificing aesthetics. 100% made in South Korea. 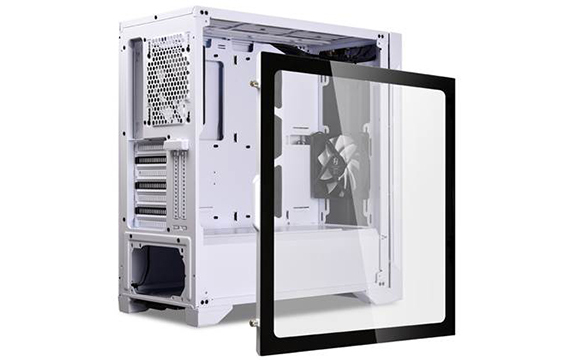 Lian Li Industrial Co. Ltd. is pleased to announce that pre-order for the LANCOOL ONE Digital White Edition will begin on October 30th, 2018. The LANCOOL ONE Digital White Edition includes all the great design features of the original LANCOOL ONE and the same level of quality but this time tailored for an audience looking for a more elegant, lighter color scheme for their build.The LANCOOL ONE Digital White will still retain the RGB light-bar in the front panel which doubles as high-airflow intake vent as well as accent piece. The metallic front panel is done in a light, silver color with brushed metal finish, a hallmark of Lian Li craftsmanship. Lian Li is inviting everyone to join this pre-order launch and to celebrate and give back to their fans, a special giveaway will be held from October 30th where Lian Li accessories and PC parts from partners will be given away to Lian Li’s audience worldwide.As a special celebration of the arrival of the Lian Li LANCOOL ONE Digital White Edition, Lian Li will be giving away special prizes. Starting October 30th to November 12th 2018, a giveaway raffle will be held for a chance to win Lian Li Strimer LED RGB cables, Lian Bora Lite 3pc. RGB fan sets, FSP Hydro GE 650W power supplies and XPG SPECTRIX D41 DDR4 RGB memory.Nobody in the business does aluminum better than Lian Li and the LANCOOL ONE Digital White Edition continues that legacy with its stylish aluminum front panel which exudes a timeless, elegant vibe but is given a modern touch with impressive RGB lighting. The RGB lighting serves as both an accent piece for the front panel as well an ambient lighting for the internal chamber giving it a two-in-one function that provides a lot of value. The LEDs also illuminate front fans directly so users not using RGB fans on the front can get the illusion of using RGB fans on the front thanks to the front panel lighting. The grand finale of the iconic Taiwan Excellence Gaming Cup 2018 (TEGC) saw ace gamers from across the country converge in Mumbai to battle it out at the gaming world’s ultimate championship. The fifth edition of TEGC concluded at the Infinity Mall in Mumbai amidst huge fanfare on Saturday as top finalists locked horns for the most coveted cup.In its fifth year, TEGC was nothing less than landmark having grown in leaps and bounds! The first edition five years ago had seen 565 participants. This year, the number has grown to a whopping 4,310 participants. The prize money too has more than doubled and its now huge bucks for winners plus an opportunity to fly to Taiwan to experience the best of technology first-hand.What makes TEGC different is how it has picked up exceedingly well since its inception and the fact that it comes from Taiwan, the world’s ultimate gaming destination. This year too, the biggest attraction featured some of the best gaming technology and gear during the finale celebrations from internationally recognized gaming brands in the world, including Acer, Adata, Asus, Avermedia, Coolermaster, D-link, Gigabyte, InWin, MSI, Silicon Power, Team Group, Thermaltake, Tokuyo, Transcend and Zowie. Taiwan – the Mecca of gaming – is home to these uber cool brands that are synonymous with advanced gaming technology.At the 2018 grand finale, the money of Rs 10 lakh in total was split among the teams. The winning teams of CS CO & Dota 2 Entity Gaming & Signify took home Rs. 2 lakh each, teams God Particles & ROG Titans won the second place with Rs. 1 lakh each, and teams INVICTUS & WIPEOUT and teams DAYSLEEPERZ & LXG ESPORTS winning the third and fourth place with Rs. 50,000 each. Finishing fifth, sixth, seventh and eighth place winners, teams ELEMENTS & ATE GAMING, JHS & UNKNOWNS CARTEL, GOFIGURE & STANDIN5, KAFAN & TEAM REVOLUTION respectively, took home Rs. 25,000 each. Along with the cash prize, the winners also took home some amazing technology goodies from TEGC sponsor brands.The participants at the finale mentioned that TEGC is class apart and no other competition could match its level because it provides players an experience of a lifetime. Even before the eliminations for the Cup started, TEGC had already reached out to people across India with TE Rig. This vehicle cruised its way into people’s hearts and minds providing first hand experience on the best gaming products. It covered nearly the entire West, North and Eastern regions of India before returning to Mumbai.TEGC 2018 offered a versatile collection of games including PubG along with Dota2 and CS GO. The field was officially laid out on July 16 as the elimination rounds for the pan India championship began with an impressive line-up of cities including Chennai, Hyderabad, Bangalore, Mumbai, Delhi and Kolkata. 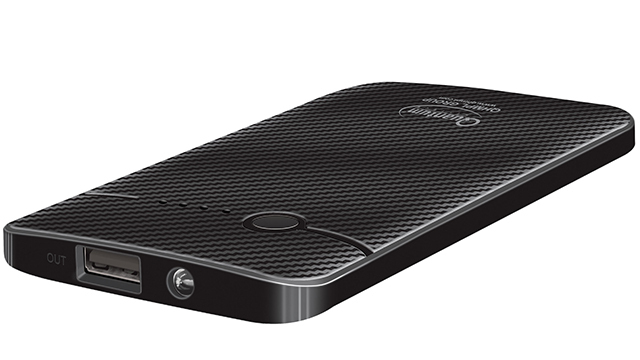 QHMPL launches the slimmest pocket sized power bank with a capacity of 4000mAh – ‘QHM 4KP’. The Polymer Power Bank supports upto 500 times charge – discharge cycle complimenting the slim profile with functionality.The Power Bank is lighter to carry and also remains dormant when not in use to avoid any power waste. Engineered with practicality and suitability in mind, it also includes LED Indicator which exhibits the battery status.In sync with the dynamic lifestyle, the Power bank comes with Dual Charging interface and RISC Micro Processor controlled that ensures fast charging and efficient output. The Dual Output gives a maximum output of 5V-2AMPS, which allows you to charge two devices at one go, even while you are on the go. With conversion rate of up to 80% the PowerBank automatically adjusts output based on the connected device, compatible with all popular smartphones and Tablets.BIS Certified, the power bank equips a multitude of advanced safety features – Short Circuit Protection, Over-charge Protection, Over Discharge Protection & Over Voltage Protection, that assures maximum user and device safety at all times.The product in shades of black and white is available with leading retail and ecommerce stores in India. 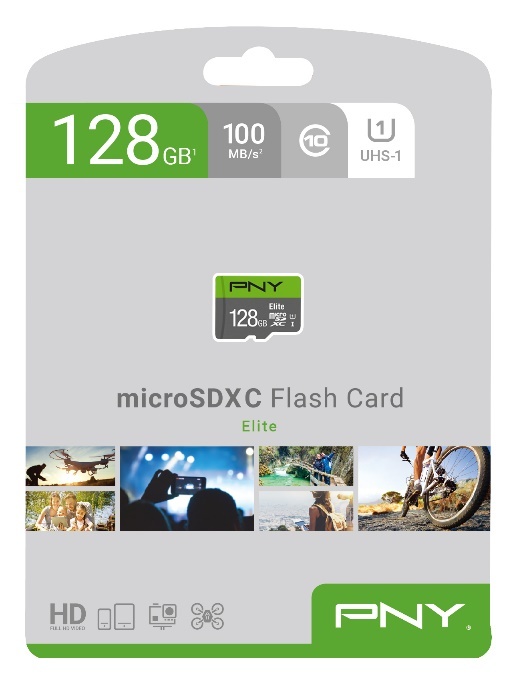 PNY Technologies (PNY) considered one of the worldwide leaders in consumer electronics market and flash memory products, has unveiled a new line of high-speed microSD cards that are the ideal solution to expand the memory of your smartphones, tablets, GoPro cameras, camcorders, DSLRs, drones etc. 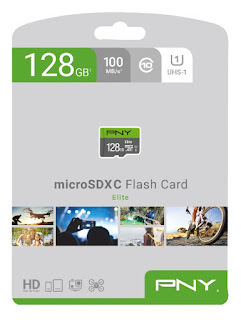 The PNY Elite Class 10, UHS-I, U1 microSD offers incredibly fast read & write speeds of up to 100 MB/s for quick and easy uploads and downloads. It is great for everyday use and applications such as HD videos, hi-resolution images, high quality audio and documents of all kinds. Class 10, UHS-I speed class performance allows for fast and smooth continuous shooting of HD (1080p) video recordings. Capture and store all your videos and images without having to worry about limited storage space. Don’t be fooled by its small size, the Elite Class microSD card is built for durability and can withstand the harshest environments. Its magnet-proof, shock-proof, temperature-proof, and water-proof features safeguards all your valuable digital recordings and images. It’s the perfect flash card to accompany your gadgets for all your outdoor ventures or sports activities. Elite Class 10, UHS-I, U1 microSD cards range in capacity from 16GB to 128GB, suiting your individual needs. Backed by PNY’s lifetime warranty, the Elite Class microSD card is available exclusively on Amazon India at an unbeatable price. For more details about the product, visit www.pny.com. and www.amazon.in.